Under Corporate Income Tax Act (CITA), corporate taxpayers are obliged to make monthly or quarterly advance payments of corporate tax. Even if an entity falls within the exceptions and is not obliged to make advance installments, it still has the right to make quarterly advance payments. Let’s assume that company X is required to make monthly advance payments during 2015, based on a forecasted tax gain of BGN 120 000. Therefore, the monthly advance installment for company X is BGN 1 000. By mid-2015, it becomes clear that 2015 tax profit of company X will be about BGN 480 000. This means that, other things being equal, if the company makes total advance payments of BGN 1000 per month or a total amount of BGN 12 000 till end of the year, then a difference will occur at the amount of BGN 36 000 (480 000 * 10% -12 000). Under CITA, when the due corporate tax for the year exceeds with more than 20% of the amount of the defined monthly advance payments for the same year, for the excess above 20% interest is due to budget. I.e., in the example, the excess is BGN 33 600 (48 000-1.2 * 12 000) and company X will have to pay statutory interest to budget for the period April 2015 – December 2015. A perfectly legal “loophole” in CITA can be used so that paying interest is legally avoided. This is due to the fact that CITA does not look for a gap in every single monthly advance installment, but consider the total amount of advance installments, including the installments made after submitted declaration under Art 88 of CITA for changing the size of the due advance installment. This means that it is possible to compensate for any gap during December 2015 and the formula for defining whether interest is due for the year will show that such is actually not applicable for the respective company and period. The company needs to submit a declaration for change in the amount of the advance installments before the deadline for payment of the last installment – for instance, in the end of November or beginning of December 2015, as the deadline for payment of the last monthly advance installment is 15 December 2015. 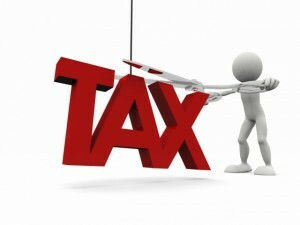 Using the example amounts, company X has to submit a declaration in the beginning of December 2015 a declaration for increasing of the amount of the monthly advance installments, so that the December installment is adjusted to be equal to 29 000 BGN ((48,000 / 1.2) -11 000), and also pay it. Thus, the total amount of the advance payments during 2015 will be BGN 40 000. In addition, the company will pay the difference of BGN 8000 due corporate tax and no additional interest shall be due to budget (other things being equal, if the forecasted annual result remains the same). This entry was posted in Corporate Tax Act, Taxes and tagged Art 83 of CITA, Art 84 of CITA, Art 85 of CITA, Art 86 of CITA, Art 87 of CITA, Art 88 of CITA, Art 89 of CITA, Art 90 of CITA, CITA, corporate tax, corporate tax advance installments, forecasted tax profit. Bookmark the permalink.